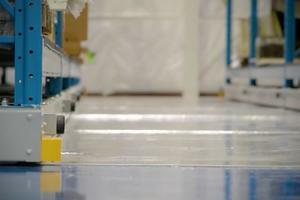 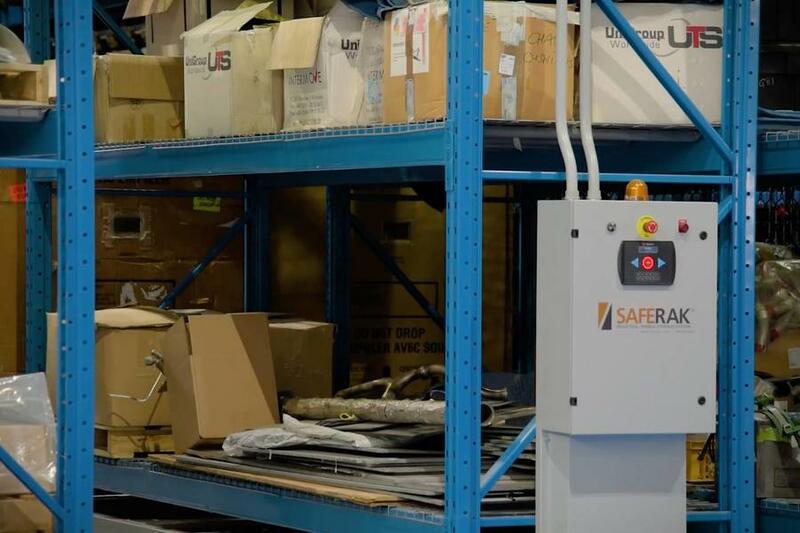 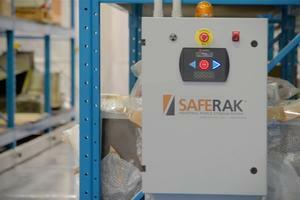 Zenith Aviation Achieves New Heights With SAFERAK® Powered Mobile Racking. 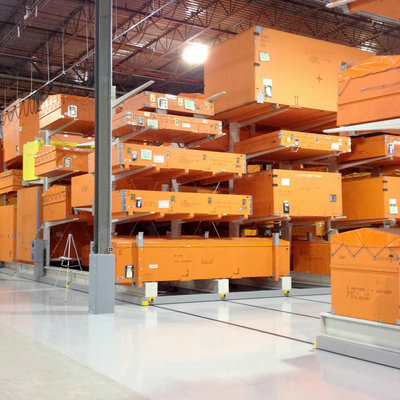 Before airplanes take to the skies and deliver passengers to faraway destinations, they pass, in pieces, through aircraft parts distribution centers. 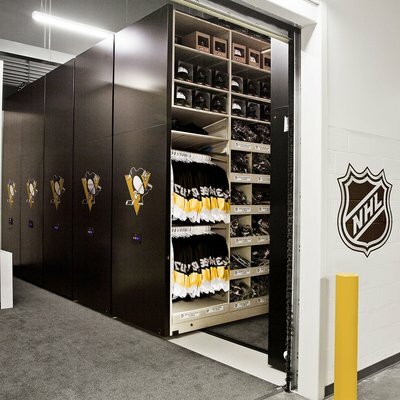 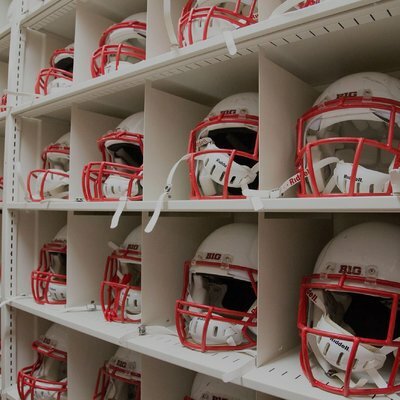 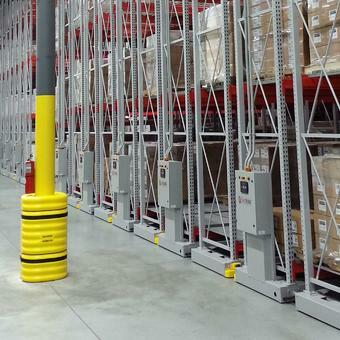 Because these part are big and heavy, they are a bother to store efficiently. 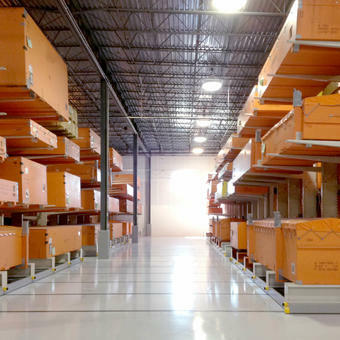 With help from Montel’s expert installation team, Zenith Aviation overcame the odds and achieved new heights by updating its traditional inventory racking to a state-of-the-art powered mobile racking system. 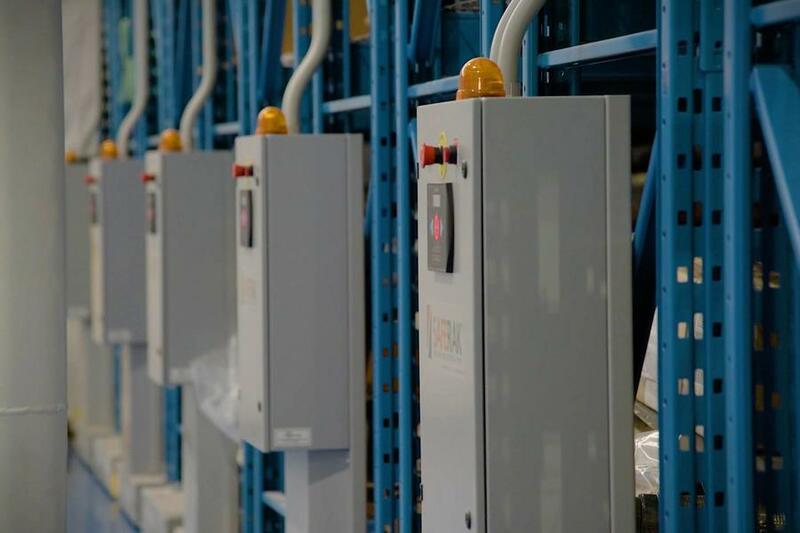 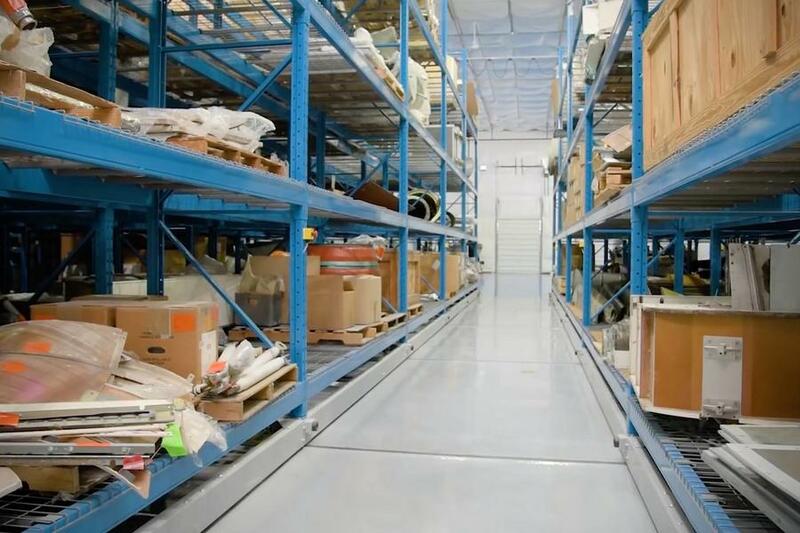 With its enormous inventory, Zenith Aviation was in need of an efficient and space-saving storage solution, with industrial weight charge capacity and for all types of racking needs. Zenith Aviation traded its four static industrial racks for 10 SAFERAK® 32P powered mobile racking units. 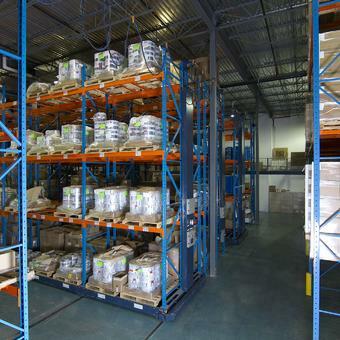 By switching out the old for the new, Zenith saved 12,000-plus cubic feet of space in its warehouse while more than doubling its rack availability. Heavy-Duty weight capacity, holding up to 1 million pounds. 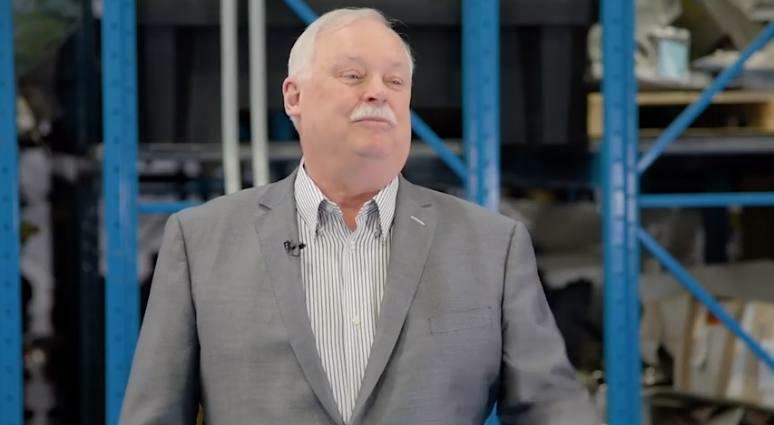 According to NASA, that’s two whole airplanes (passengers included). 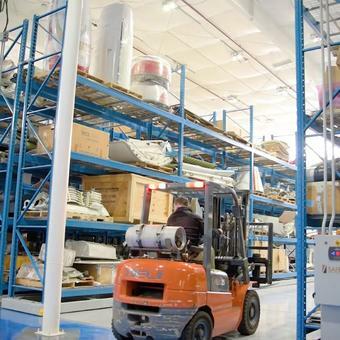 Storage taking into account the odd dimensions of the aircraft parts. 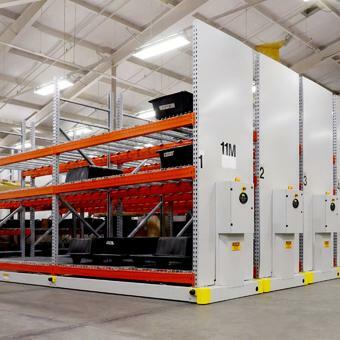 Remote controls on every Zenith Aviation forklift so drivers can open and close the aisles they need to access en route to the storage area, thus saving time. In order to optimize cubic footage, distributors benefit from all vacancies, including the biggest of them all: the aisles. 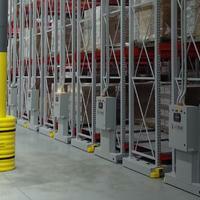 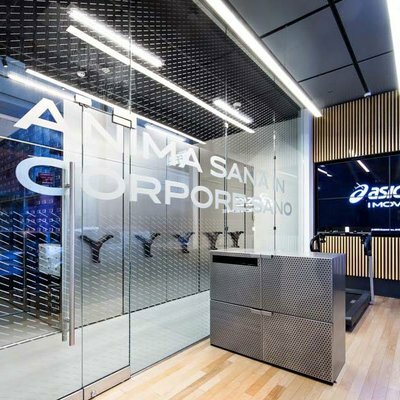 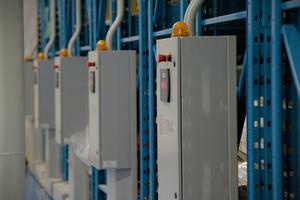 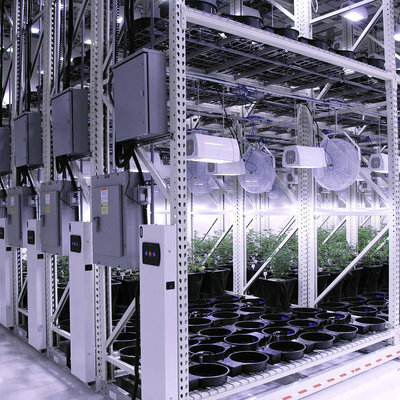 And by replacing static racking with a mobile installation, converts don’t sacrifice any of their weight capacity. 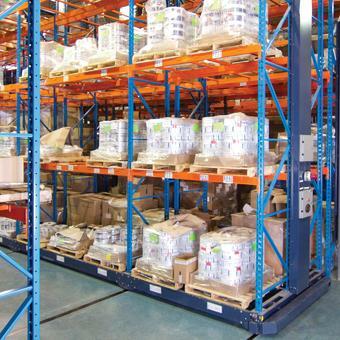 Think about all the opportunities that extra room affords. 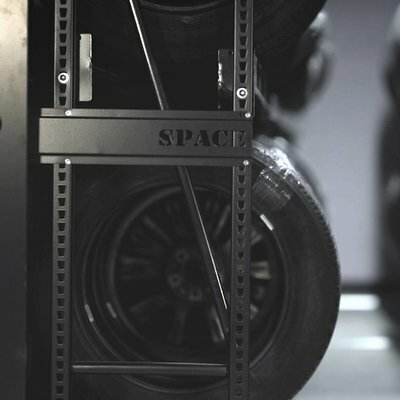 Space, after all, is the service a distributor offers and sells. More of it means greater profitability. 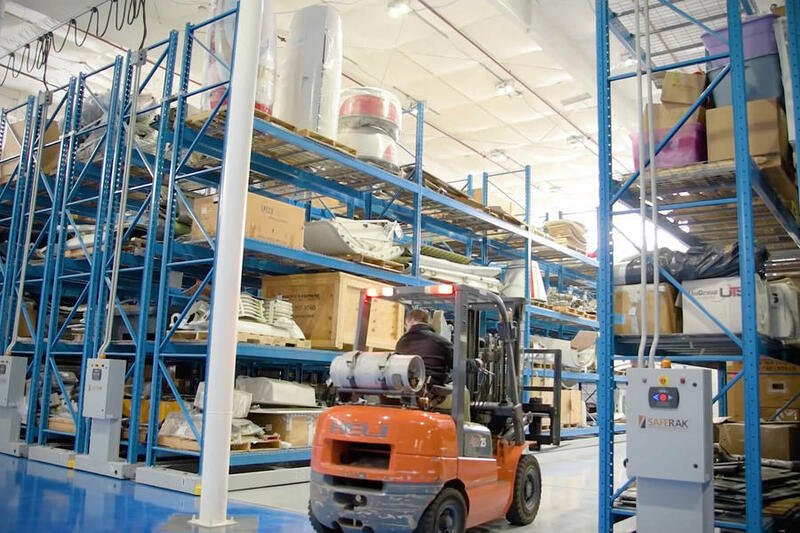 Zenith Aviation can now fit three times as many parts in the exact same amount of space, no renovations or expansions necessary.